Paul Jensen lives in ranch country near Daniel, Wyoming, where he moved 15 years ago from Washington, D.C. He traded in a thirty-year career in national politics and business for a life-long dream of living and working as a cowboy. 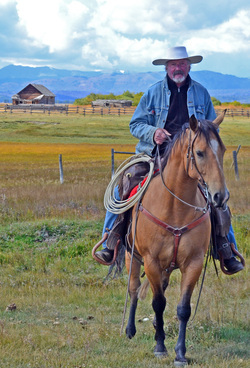 When he worked as a cowboy for the Hoback Stock Association and the Pape Ranches, Paul discovered the rich history of the place and the need to document that history. In addition to writing, Paul is the Executive Director of Rendezvous Pointe, a senior and community center in Sublette County.